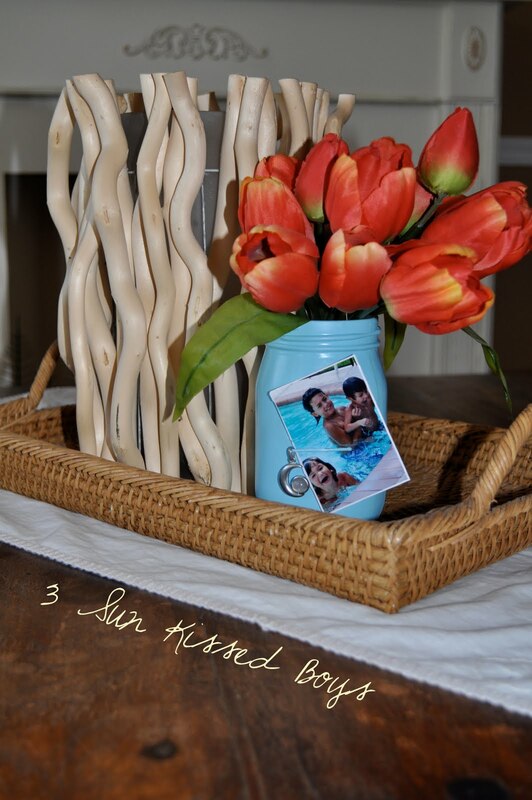 -Not too long ago, I made mason jar vases for Teacher’s Week. Click here for the tutorial if you missed that post. I made an extra one for me to keep using a plain olive jar. But it was too plain for my taste so I vamped it up using - what else? - SPRAY PAINT!! 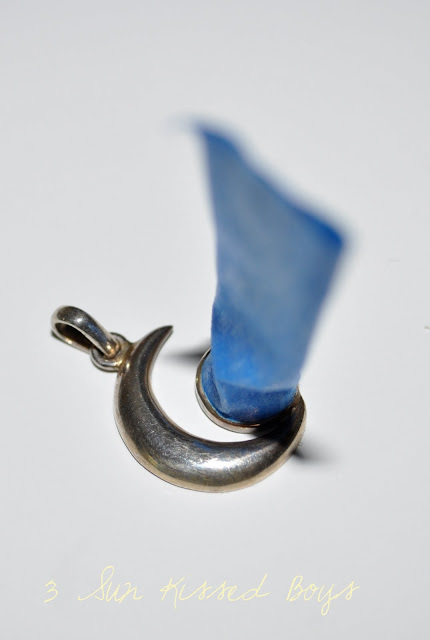 I got the cute moon pendant from a fellow Freecycler. 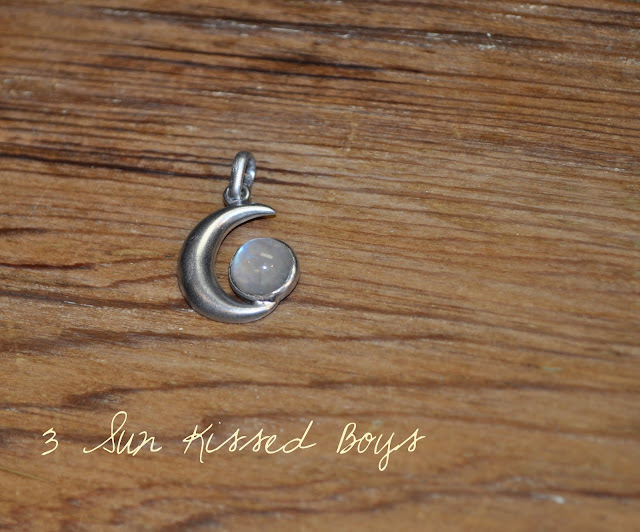 I always tell the Sun Kissed Boys I love them to the moon and back so a moon pendant to display their photo was very suiting. After some spray painting magic!! The flowers are fake but I’m real bad about remembering to grab fresh flowers when I run to the grocery store. 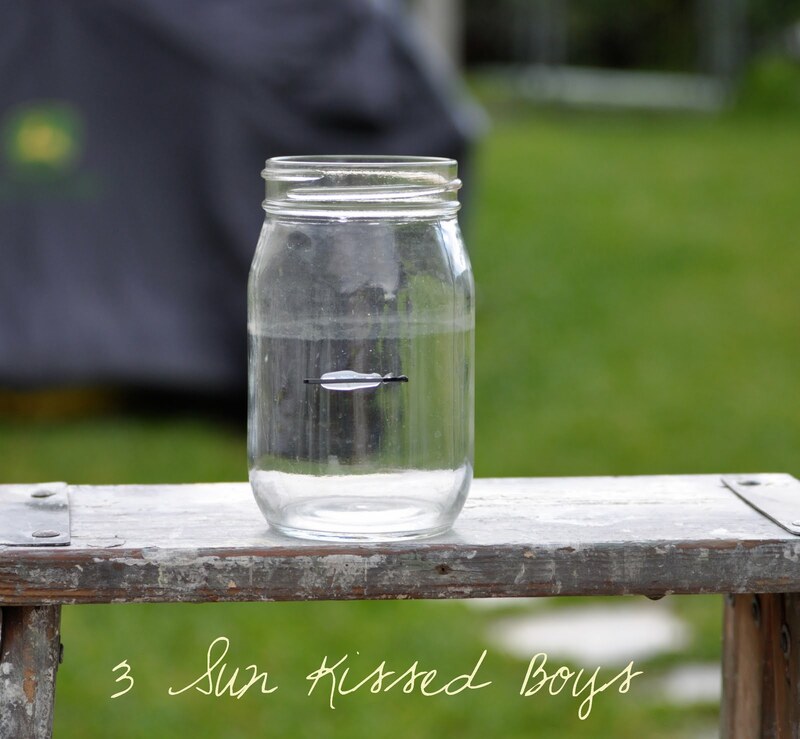 It might have something to do with having to juggle three energetic boys in the grocery store while pushing a cart full of food for said growing boys’ appetites. Stepping into a flower shop is never in my list of things to do. 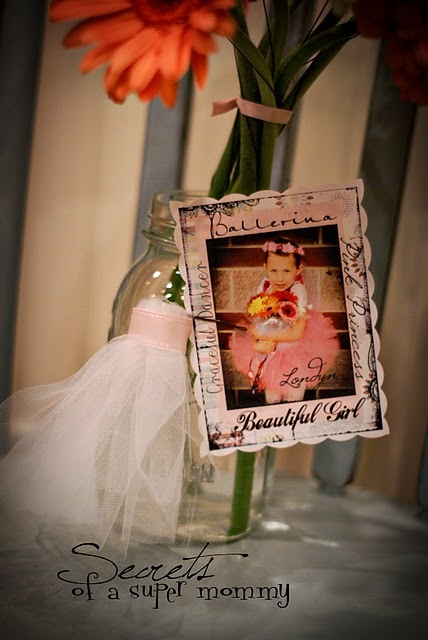 Angela, of Secrets of a Super Mommy, made a mason jar vase of her own to display her little ballerina’s flowers. It came out so darling, I just had to share it. Check out how she put hers together. Look around her blog a bit. 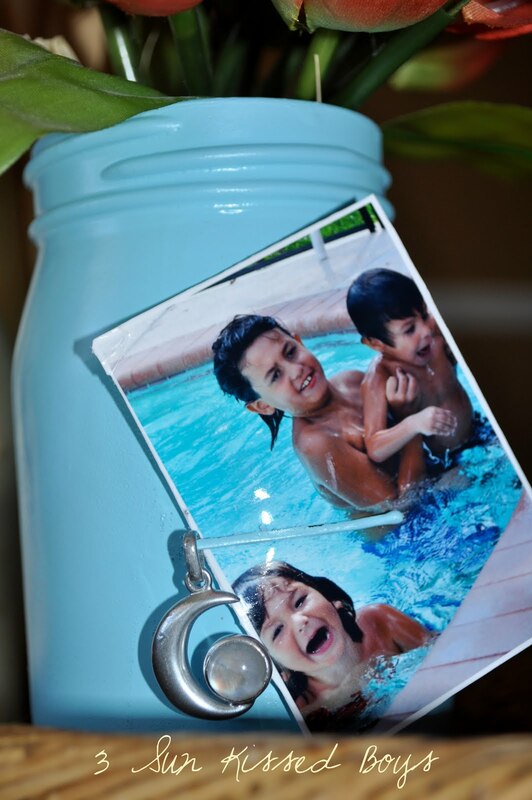 Angela has tons of ideas for kid and family fun. Seriously, especially with summer break almost here, this blog site is a mommy’s must-have. I've always wanted to try spray paint on glass or ceramic...Do you need to prime it first?